I’ve had the box for about a week and if your skin is in need of a nourishing feed, this is the business. It is perhaps my favourite Naturisimo discovery box to date! There’s everything in here for a weekend away too (bar a cleanser) – you could simply throw the contents in your travel bag and head out. There’s a facial spritzer, two serums, a face oil, a day cream, a tinted day cream, a night cream and an eye balm. Six of the items are discovery sizes, and two (a serum and the overnight cream) are sachets that are good for two uses. 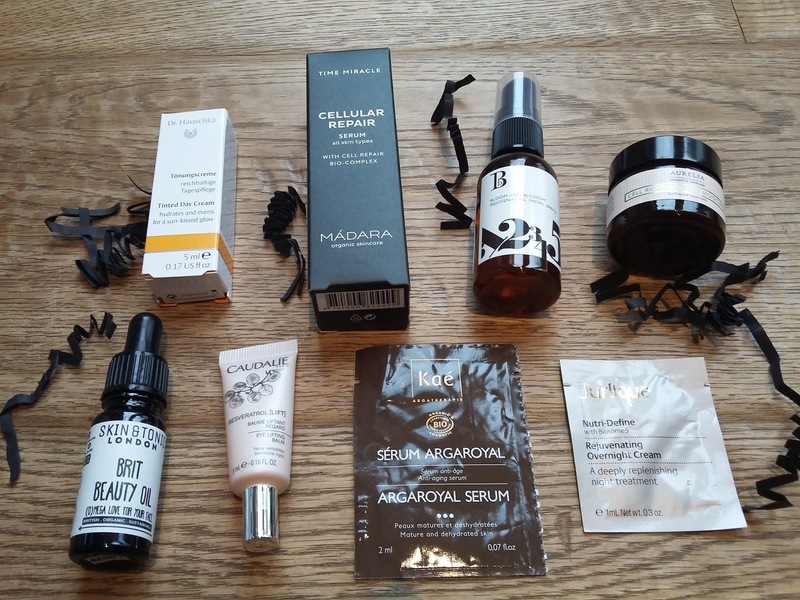 Brands featured include Madara, Aurelia, Skin & Tonic, Caudalie, Bloom and Blossom, Dr Hauschka, Kae, and Jurlique. A super refreshing spray, both in scent and experience. Contains lady mantle and horsetail leaf extracts. This was a surprise when it came out of the tube – it’s bright green! 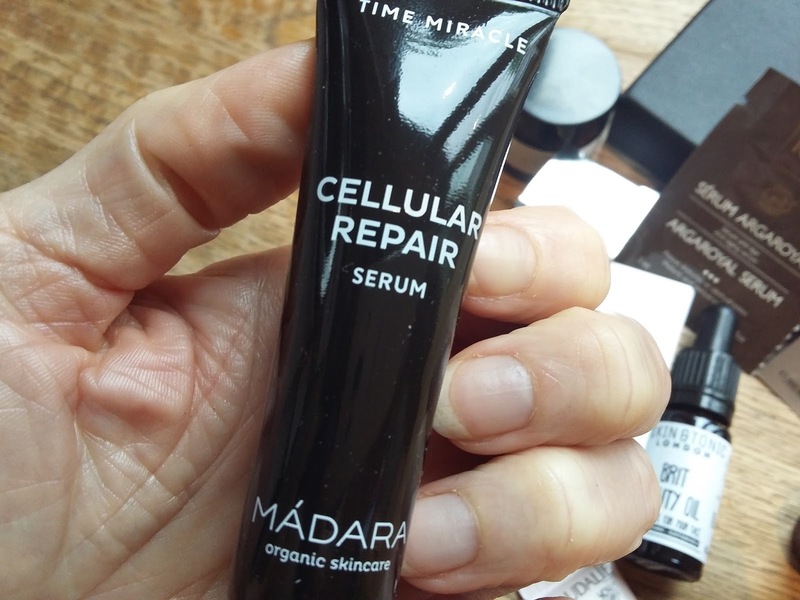 An intensive age repair serum, formulated with northern birch juice instead of water. 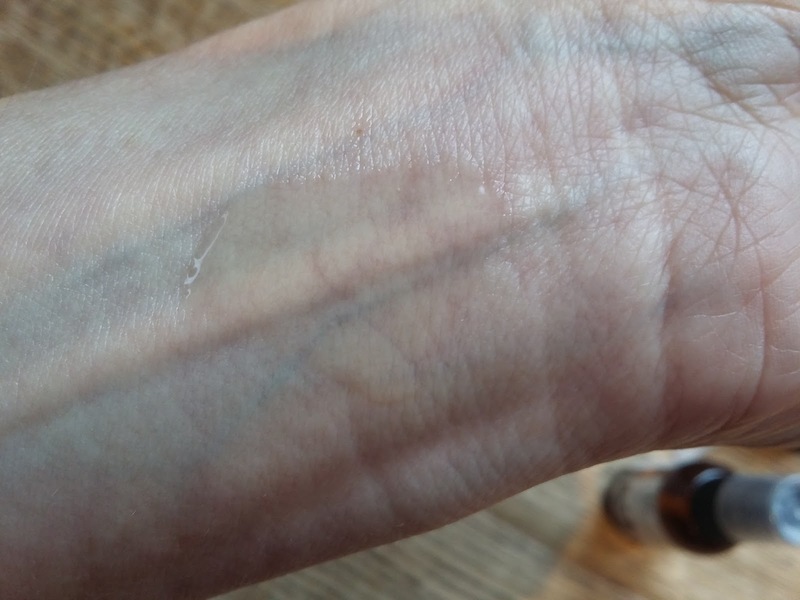 It’s very silky and makes skin glow. This is an oil serum, so I would forgo using a separate oil as well. I really love it. It’s super rich and nourishing. I’m keen to buy a full size now, just from trying this sachet. This is a balm but it’s light, so also suitable for oilier skin. 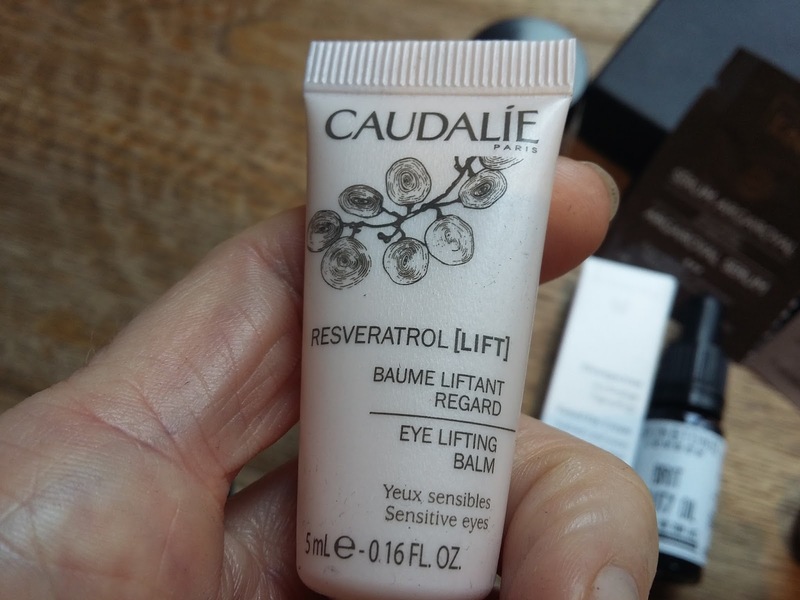 It’s another big hit: it’s silky and doing a superb job of hydrating the skin under my eyes. It’s fragrance-free and contains resveratrol from grapevine stalks. 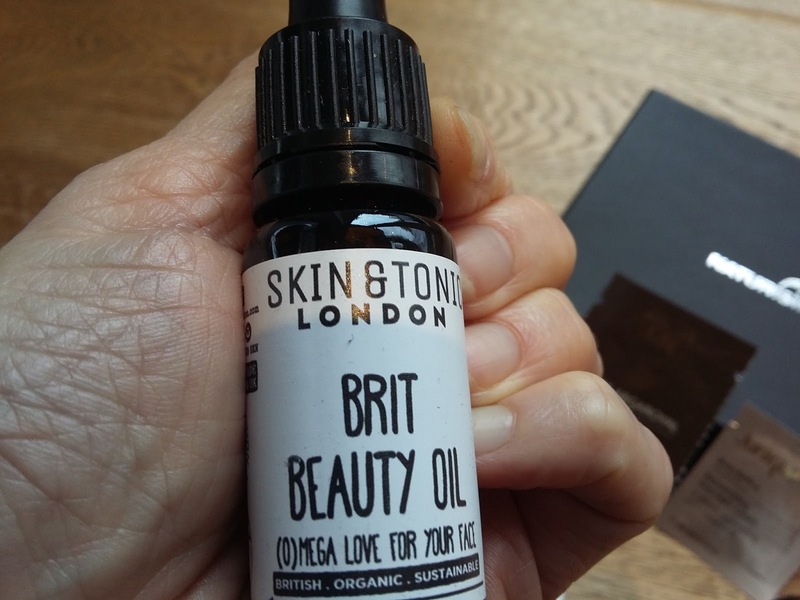 I’ve been desperate to try something from Skin & Tonic for a while – I keep hearing great things about the brand from green beauty bloggers. This oil is 100% organic and made with just 5 ingredients, including thistle and chia seed oils. It’s another nourishing treat. 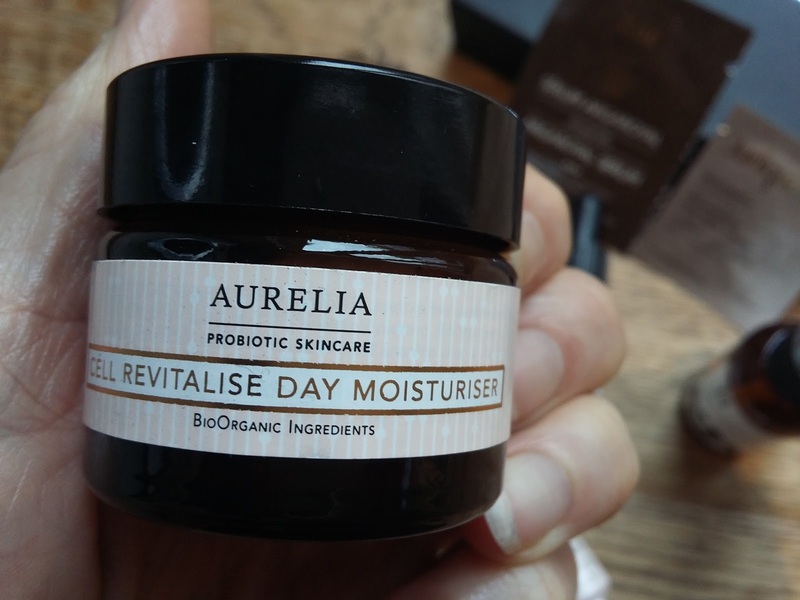 A bloggers' favourite, Aurelia produce some exceptionally good skincare. This moisturiser smells floral fresh and has a rich creamy texture that leaves skin dewy, radiant and feeling soft. This is the one item in the box that I don’t like. 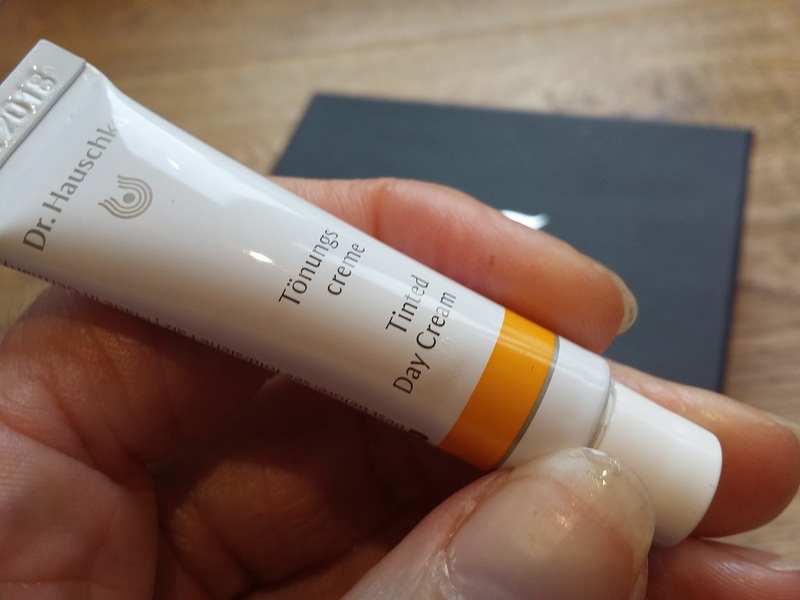 The tint is very dark and because of that I don’t want to use much of it – because my skin is thirsty I like to slap on oodles of moisturiser. It’s also less hydrating than the Aurelia. 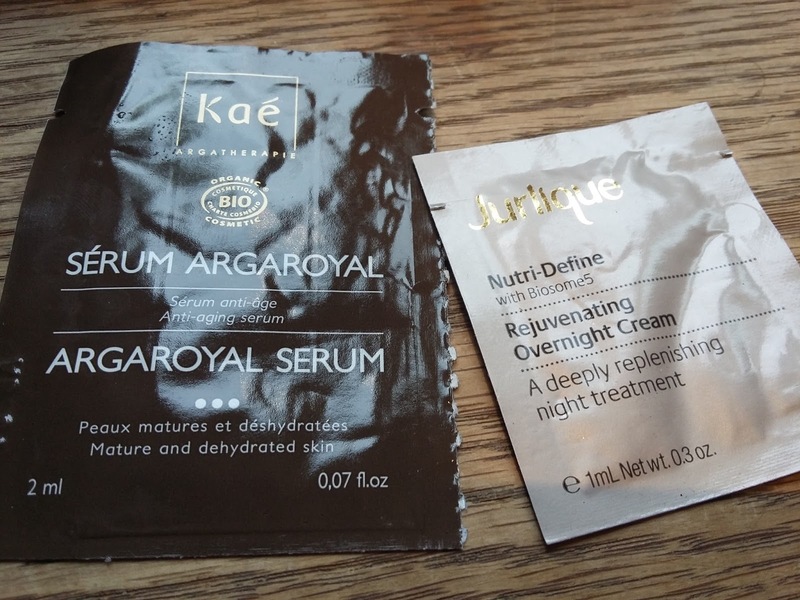 Another sachet (see pic above) but it’s enough to remind me just how wonderful Jurlique is. 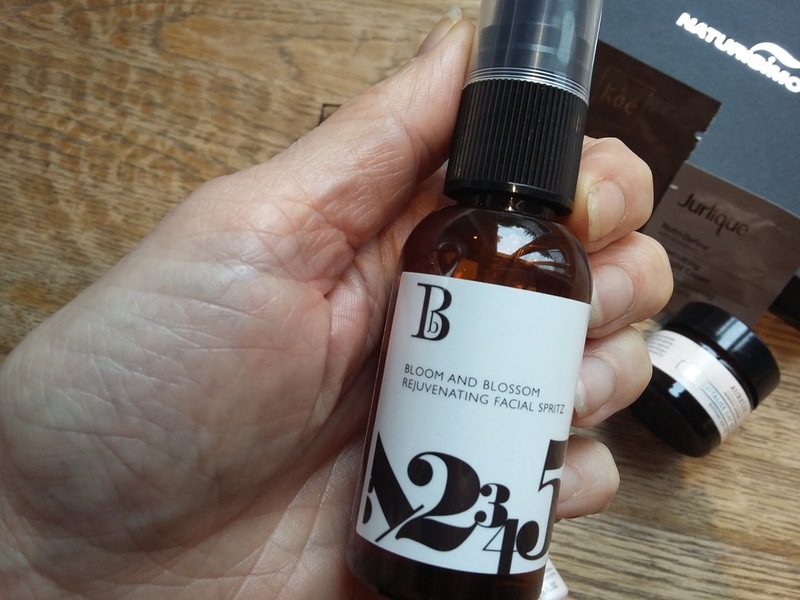 They produce some of the freshest smelling formulas I’ve ever come across and I’ve had many ‘ooh ah’ moments with this brand. This is a rich and nourishing cream – perfect for night-time. You can buy the Science Meets Nature Discovery Box now here. 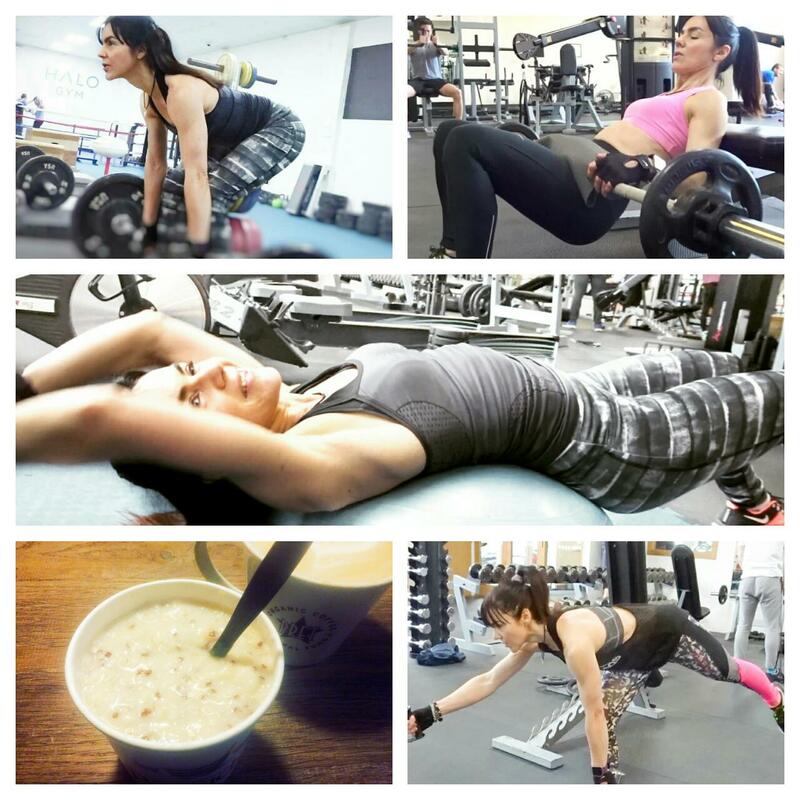 Loving the products. Especially the tinted day cream. Looks fab. Never heard of this box before but am going to check it out now because the selection of products looks great. Very good value for the price. 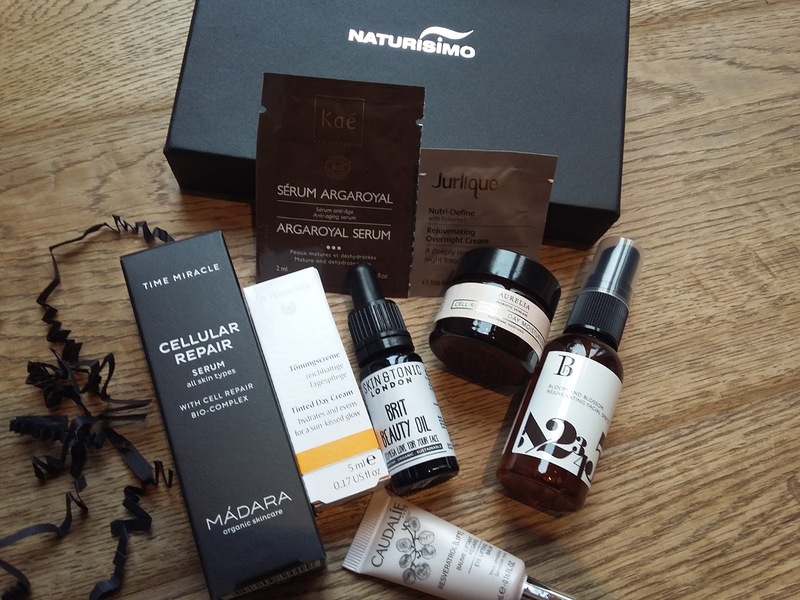 I really like this selection of products, definitely a beauty box to check out.